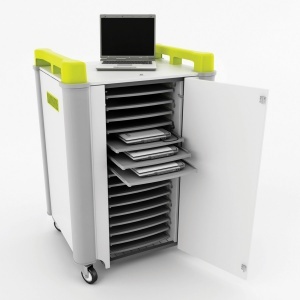 This version of the popular LapCabby charging trolley can store up to 16 laptops, each with a slide-out horizontal shelf. 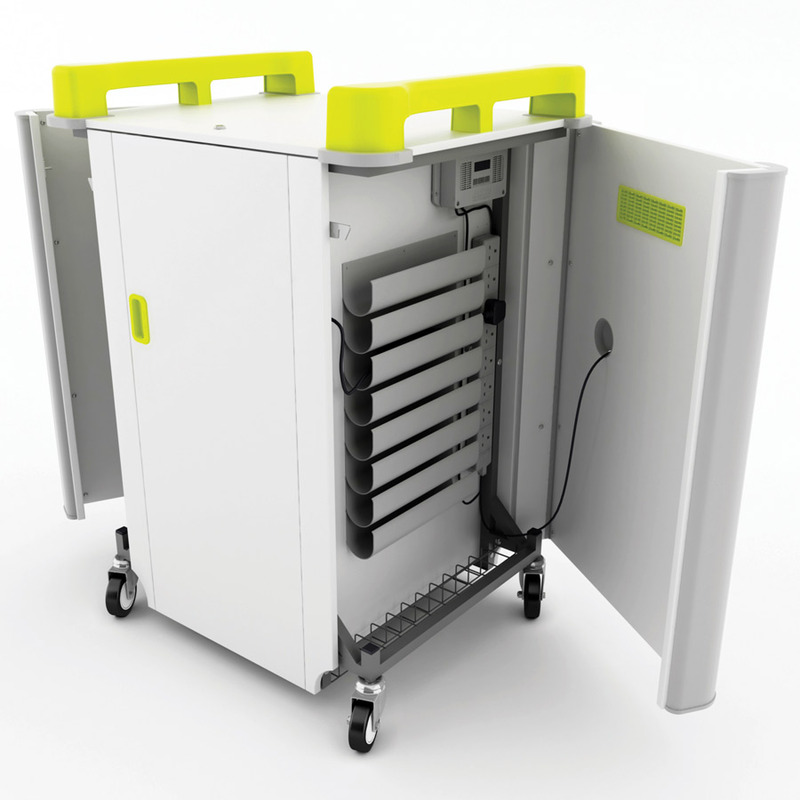 This provides a more convenient way to access individual devices and lets each unit be stored as the manufacturer intended - on its base. All LapCabby laptop charging trolleys come with a host of useful features, if you need any help or assistance please give us a call on 01993 779494. Strong steel framework with MFC panels. Houses laptops up to a maximum screen size of 19". Note: Laptops shown for illustration purposes only.